This is 454 Casull Magtech 240gr. 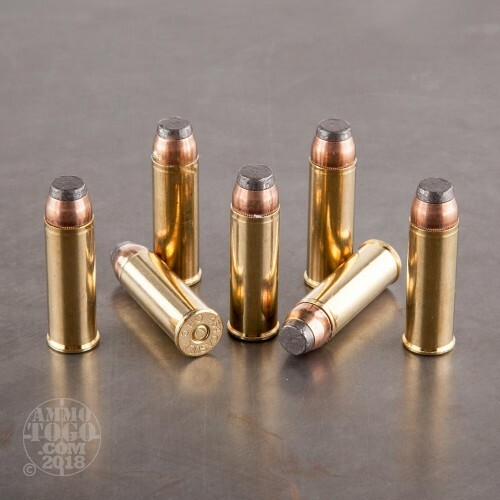 Semi-Jacketed Soft Point (SJSP) Flat nose ammo. 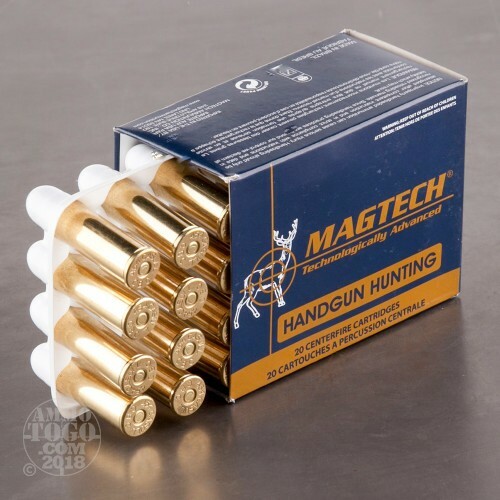 This round produces excellent energy and is rated at 1771 fps at the muzzle. 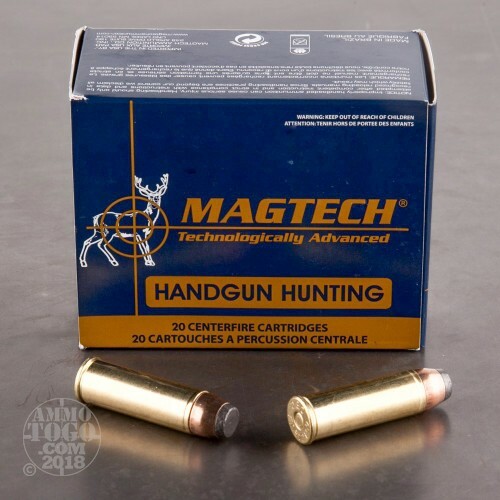 This is a great hunting and all purpose round. 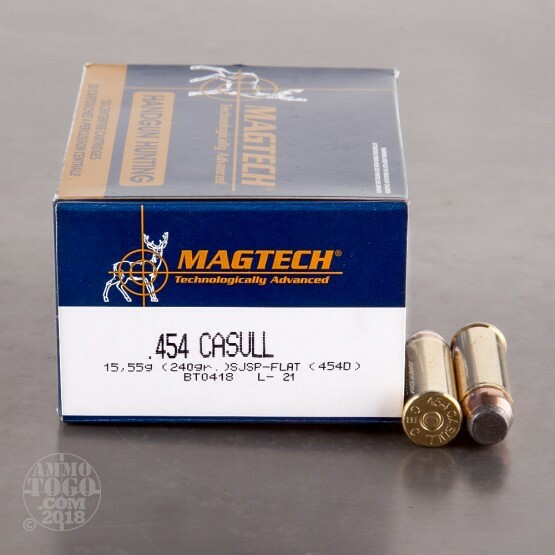 All Magtech ammunition is manufactured to SAAMI and CIP specifications.This ammo comes packed in 20rd. boxes.